2019 2nd International Conference on Software and Services Engineering(ICSSE 2019) will be held in Prague, Czech Republic during March 15-17, 2019 as a workshop of ICGDA2019(2019 2nd International Conference on Geoinformatics and Data Analysis). This conference is sponsored by International Academy of Computing Technology (IACT). It will bring together the top researchers from Asian Pacific nations, North America, Europe and around the world to exchange their research results and address open issues in Computer Science, System, System Model, Software Engineering and Service Science. It is one of the leading international conferences for presenting novel and fundamental advances in the fields of Computer Science, System, System Model, Software Engineering and Service Science. Authors are invited to submit papers through the conference Submission system. Any questions, please contact conference coordinator at icsse@iact.net. ICSSE 2019 registered papers will be published in the International Conference Proceedings, which will be indexed by Ei Compendex and Scopus and submitted to be reviewed by Thomson Reuters Conference Proceedings Citation Index (ISI Web of Science). November 16, 2018 Good News! 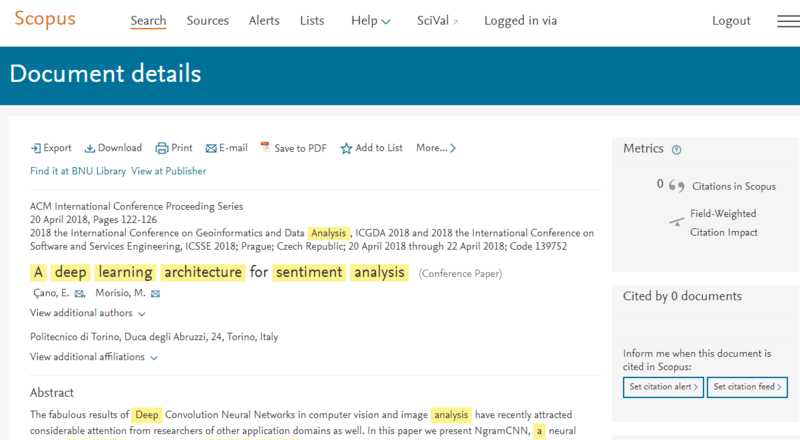 Selected papers in ICSSE2018 were published by ACM and have been available in Scopus and EI Compendex.